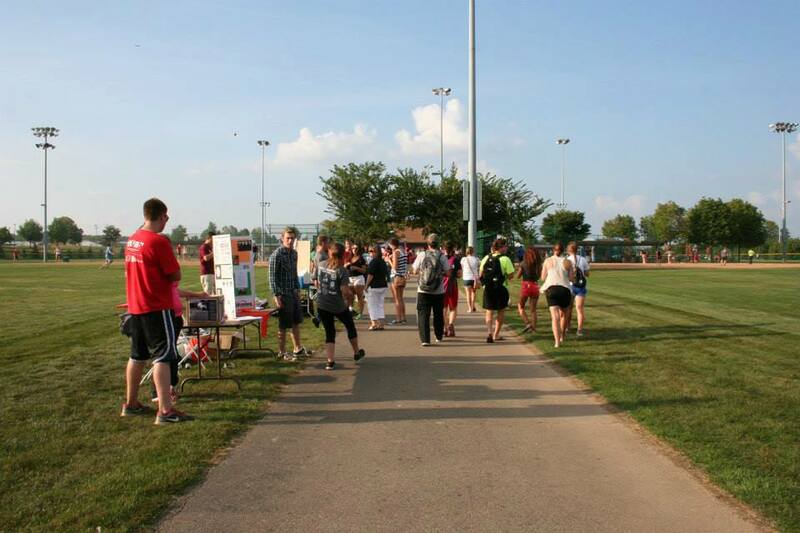 On August 29 the Animal Science Community Alliance and CFAES Student Council hosted the Back 2 School Bash. 940 students, over 100 more from last year, traveled to Fred Beekman Park to enjoy kickball, games, cookout, ice cream and interaction with student organizations within the college. Games included strong man, dunk tank, golf simulator, basketball shot, inflatable slide challenge and a mechanical bull. There were 35 organizations present at the bash and 16 kickball teams. Farm House and Alpha Sigma Upsilon rose to the top of the tournament to keep their champion title. Saddle and Sirloin and Alpha Gamma Sigma came in second place. At the end of the evening, there was a surprise corn cob eating contest to see which student, faculty or staff memeber could chomp away two ears of corn the fastest. Three members of the Board of Trustees joined the College and enjoyed watching the contest. Mariette Benage, advisor for ASCA, felt it was a great start to the year. "Overall, Back 2 School Bash was a great success. The purpose is to not only allow new students an opportunity to see how they can get involved in CFAES, but to also bhring the Colllege together. We don't have too many opportunities to all be together, and I think B2Sb lends a great environment to enjoy the company of everyone-students, staff, faculty and administrators-from within the College."